Book now transfers from Santorini airport. Santorini, or Thira, is the top destination in Greece and among the most romantic destinations in the Greek islands and also in the world. 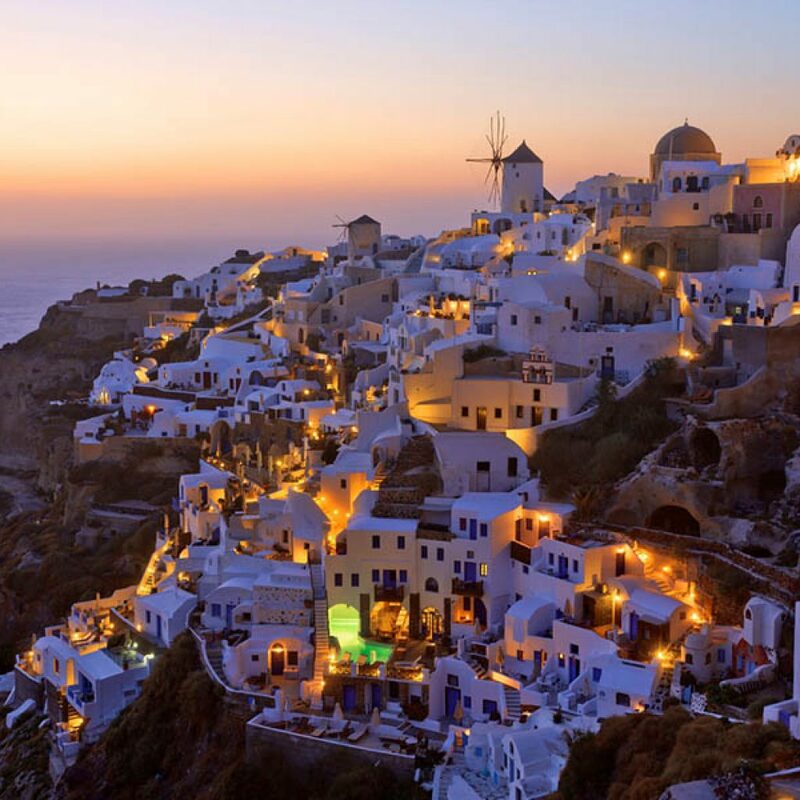 Located in the Aegean Sea, in the Cyclades islands, Santorini island was the site of one of the largest volcanic eruptions in the world and what remains today is a submerged volcano and a caldera. Amazing villages has been constructed on the edge of this caldera, with Cycladic architecture and breathtaking view to the sea. Apart from the fabulous caldera villages, Santorini Greece is also famous for the romantic sunset, the volcano and the luxurious resorts. 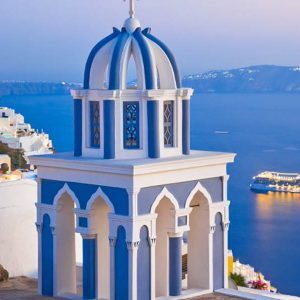 This Santorini travel guide will give you all the necessary information to organize your holiday. 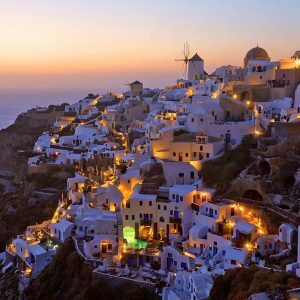 Travel guide to Santorini, Greece Santorini island holidays guide Holidays in Santorini is the dream of a lifetime for many people. As this is the top tourist destination in Greece, the island is famous for the impressive caldera, the volcano and the romantic sunset. In fact, it is frequently included among the best destinations in the world. Over the last years, tourist season has extended in Santorini, from early April until early November due to the many cruise ships that dock there. Due to the good ferry connection with other Greek islands, holidays in Santorini can easily be combined with holidays in other islands. There are also many charter flights to Santorini from abroad, making it easy to come to this small paradise on Earth. Transfers from Santorini airport (JTR) to Akrotiri, Athinios Port, Emporio, Fira. More limousine, taxi transfers see below. – upon arrival at Santorini airport (JTR) please look for your driver, who will hold a personal waiting sign with your name on it.